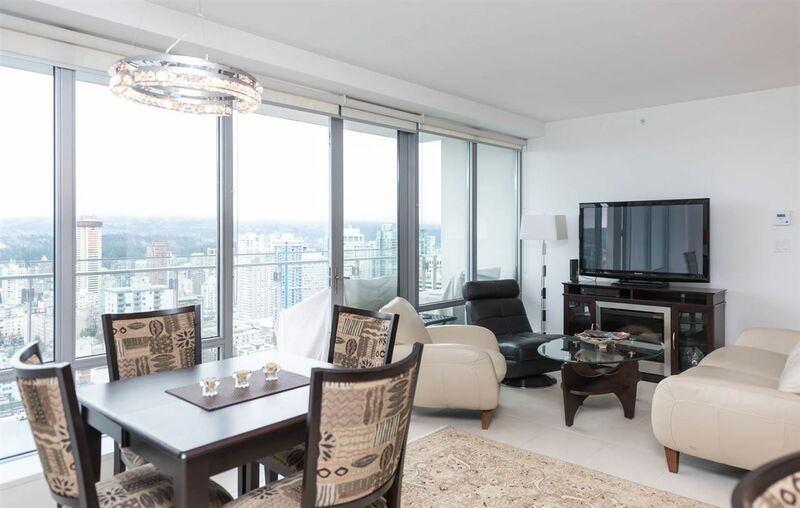 HIGH FLOOR LUXURY LIVING AT "PATINA" BY CONCERT PROPERTIES. THE SUITE - exceptional floor plan stretched wide across the north west side of the building towards English Bay. Central living/dining area opens onto 19' balcony/terrace. Sleek contemporary finishing includes beautiful island kitchen w/ Miele/Liebherr appliances + thick granite counters, gorgeous Spa inspired bathrooms with marble counters, heated floors + frameless walk in rain showers (master en suite also has soaker tub + double sinks). Large flex could be office/den. THE BUILDING - true quality in construction and understated elegance in design. Cathedral lobby, concierge, fitness studio, lounge, meeting room + roof garden. WALK TO EVERYTHING! 2 blocks to world class shopping, restaurants, Cineplex, Art Gallery + much more.